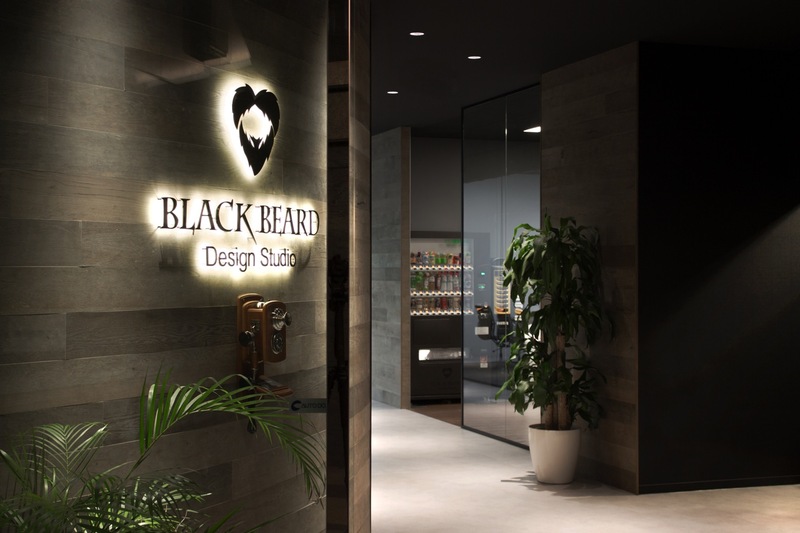 Black Beard Design Studio is a CG production company headquartered in Tokyo. 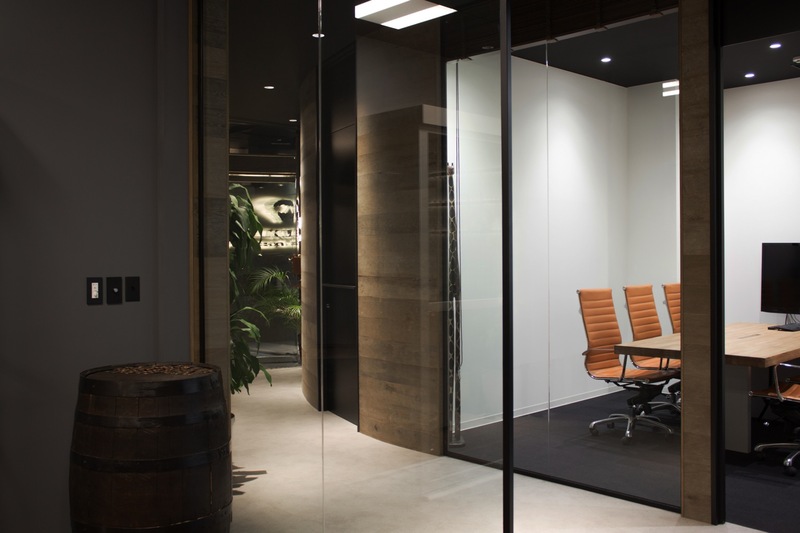 Merging and relocating offices to increase production efficiency by taking advantage of having all workers in one location, and consolidating the branding continued from previous designs, it was necessary to present internally and externally a Black Beard Design Studio likeness and how things are. 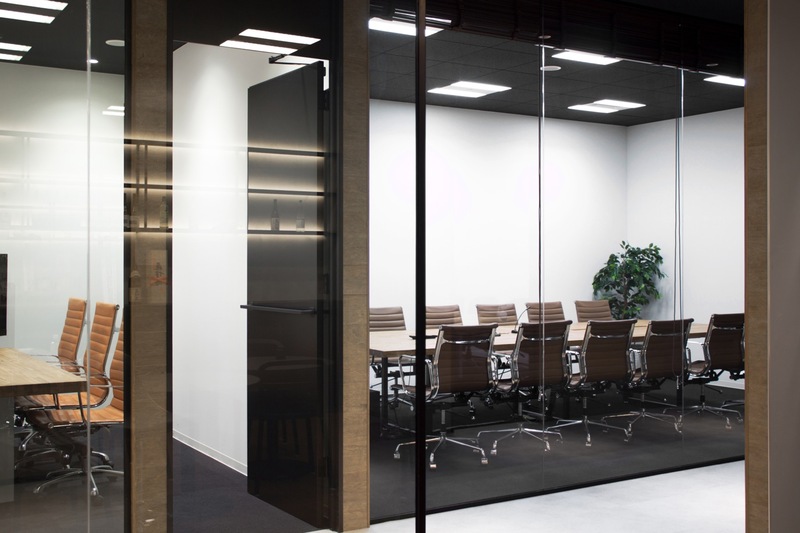 In order to carry out production work efficiently, the environment is very important, and we created that environment by partitioning the entrance and work area. 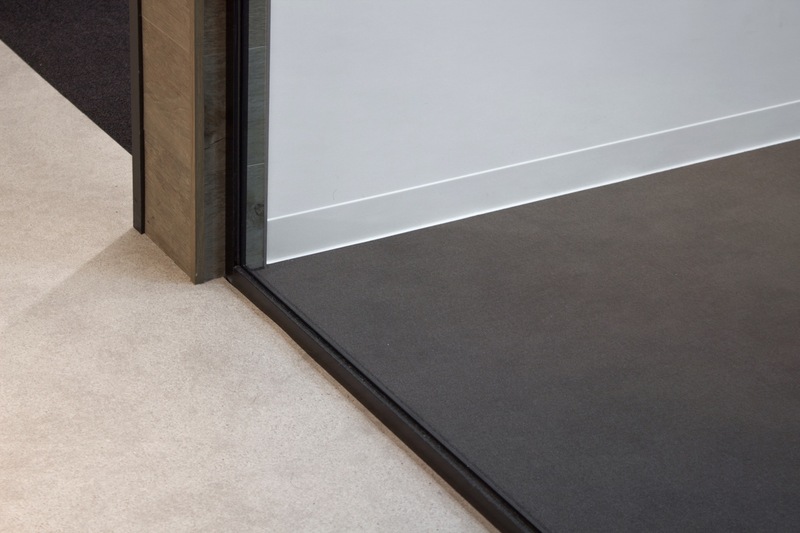 With a flexible space that can be converted for various applications, we respect the individual's concentration environment, and we took down flow planning in the layout to account for the on-off moods of staff. 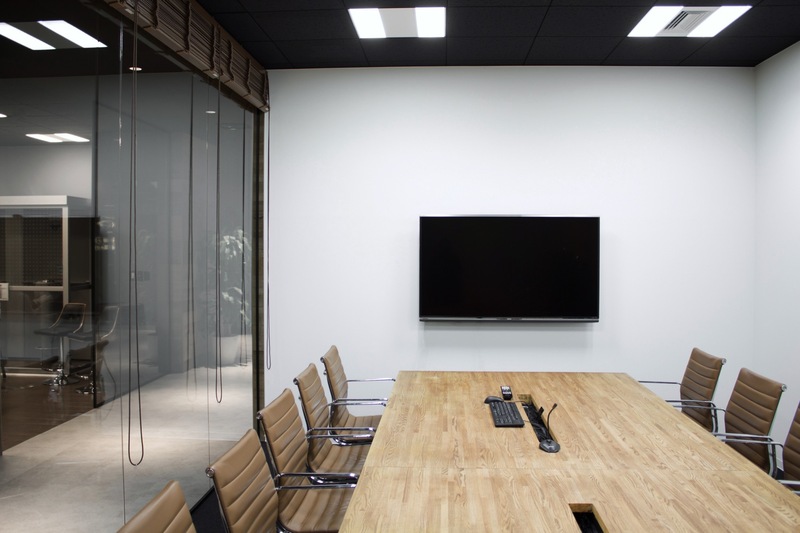 Concentration environments are bright spaces, and environments where staff can refresh are dark, with unnecessary information limited. 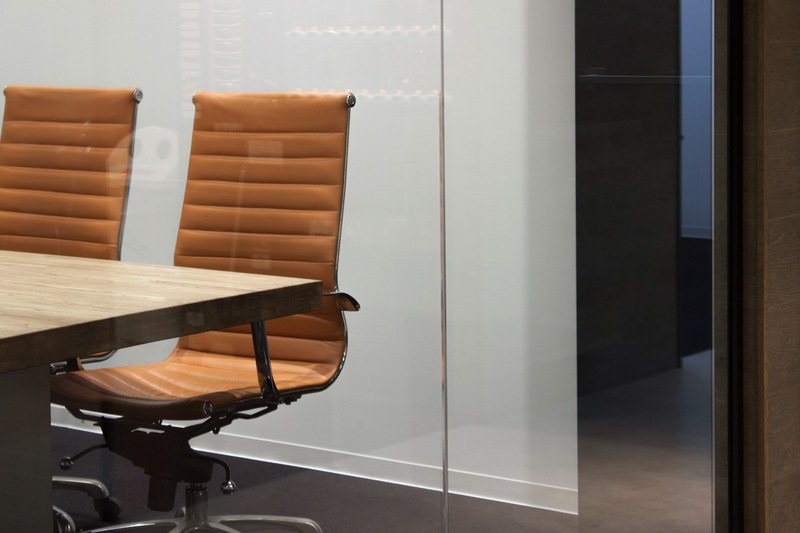 We created a space to meet customers that matches the image of an environment in which staff can move from visual changes to organize information in their heads. 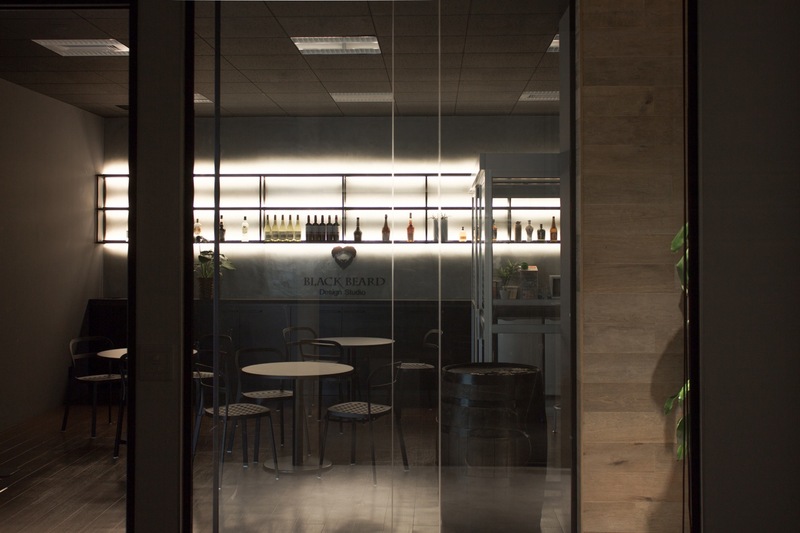 As the key to our branding is "pirates," a wood grain with a strong vintage feel creates the impression of a sailor coming to a tavern. 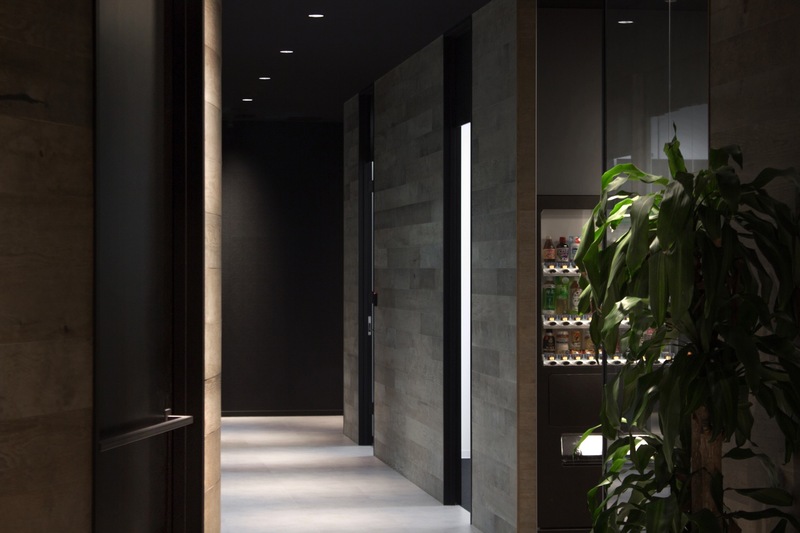 And though it is a darkly illuminated space, we have built a layer to connect the spaces out of clear glass, the open space thereby eliminating any oppressive feelings. 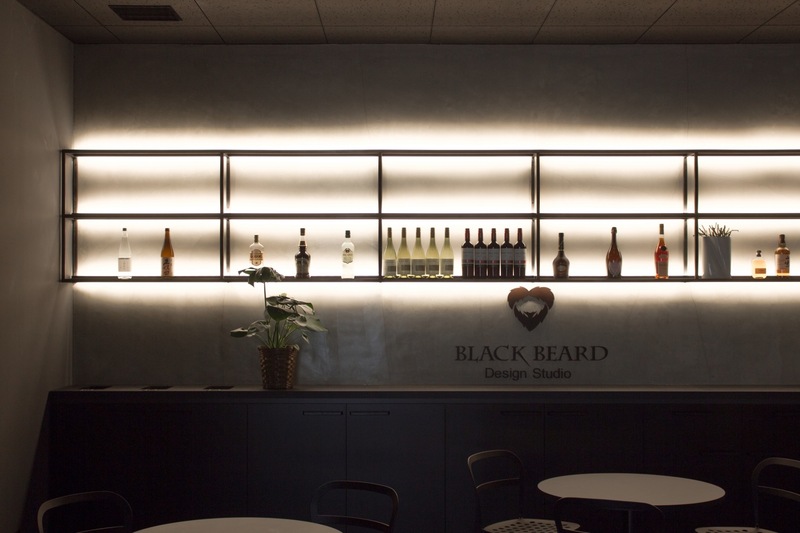 Through a painstaking expression of a world view that emphasizes entertainment, and applying a style that matches that view with modern times, we feel we created a space that considers the Black Beard Design Studio brand and the people who work here.